A safari in Africa can be one of the great highlights of our lives, and Simon Combes has lived his life on one. He is one of the finest painters of wildlife alive and with this book makes his mark as a writer as well. 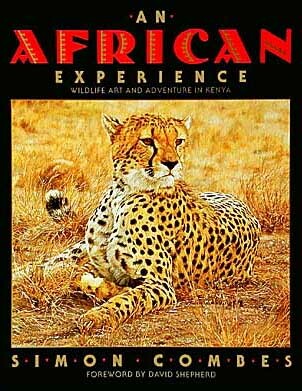 The story of his life contained in this volume is an enthralling one: the son of an expatriate raised in colonial Kenya, a military career that spanned both sides of that nation's independence, a safari guide and artist with an eye for the adventure that is Africa. Simon's art has been published by the The Greenwich Workshop since 1980. For adventures, travelers and those who just love the Discovery Channel from a comfortable chairhave we got a story for you! Combes' newest book details his adventurers tracking nine of the world's biggest feline predators in their native environmentsincluding Mongolia, Nepal, South America and even Idaho. 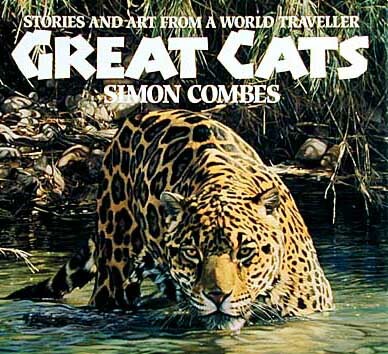 Combes wanted wild models for the book's paintings; big cats kept in zoos lose muscle tone and a vitality that is only seen in their counterparts that are free to hunt and roam. One of these wild cats is the subject of a giclée that accompanies the booka young leopard Combes saw in the Aberdare Mountains National Park in Kenya. To read the CNN book review, click here.